Moss (game, 2018). A virtual reality adventure video game by Polyarc, Inc./Sony Interactive Entertainment. Developed by Polyarc, Inc. Official Trailer. 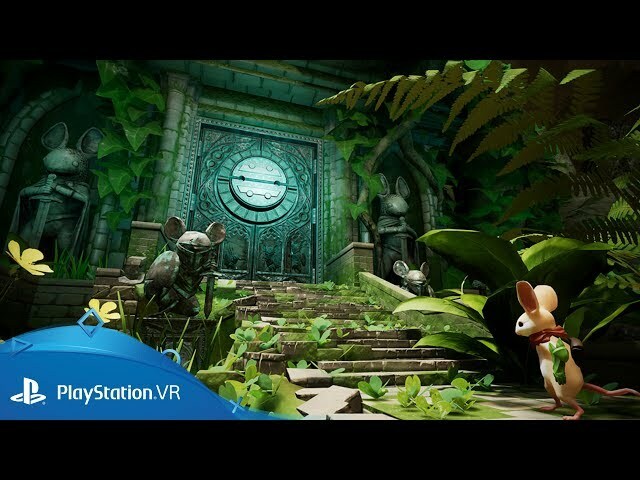 Moss is a virtual reality adventure video game by Sony Interactive Entertainment and Polyarc, Inc., developed by Polyarc, Inc..
Moss - Launch Trailer | PS VR. While in a library, the reader finds an old book. As he or she flips through pages, the reader is transported to a fantasy land contained within the book. The reader meets Quill, a young mouse, and begins an adventure. The kingdom where Quill lives has been overthrown by Sarffog, a fire-breathing snake. After Quill's uncle is captured, the reader guides Quill on an adventure to defeat Sarffog and save her uncle. 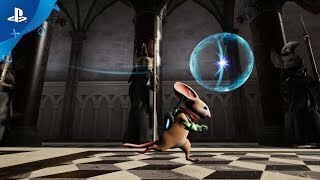 Moss is an adventure game viewed from the first-person perspective using the PlayStation VR headset. 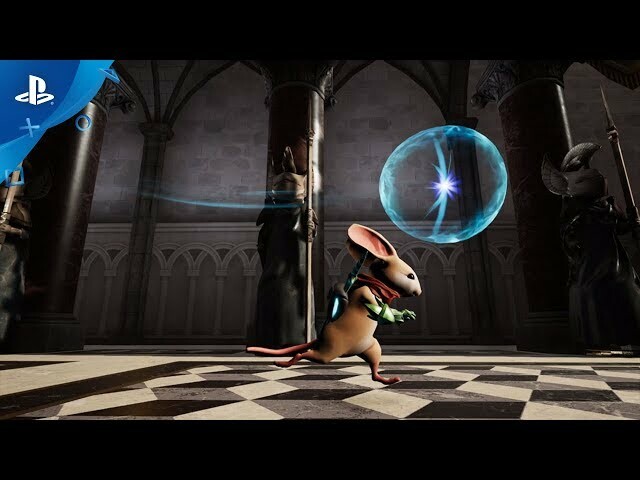 The player is shown in the game as a masked face and orb. Unlike most games, Quill is aware of the player. The player controls Quill, navigating environments and battling enemies. The player can also manipulate the environment to navigate obstacles and solve puzzles. Quill communicates with the player through the use of sign language for puzzle hints and emotional responses. 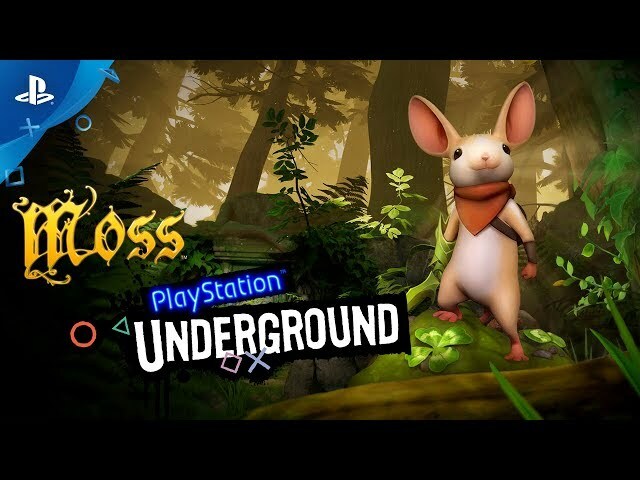 Moss was scheduled to be released by Polyarc, Inc. and Sony Interactive Entertainment on February 27, 2018.